This week we have a wonderful sponsor! Stamp Simply Ribbon Store You will really enjoy anything from this shop! I made my card today featuring two of their samps sets word of encouragement and Thank you caring coneflower. I love this simple flower and powerful bible verse. Sometimes it is a really good thing to be reminded that when we walk with God, he has our whole world in his hands and we can count on Him. One because I was afraid I would like my first color choices - and I didn't! WOW! Your dimensional coneflower is just beautiful! I'm so glad you are enjoying our Stamp Simply Clear Stamps! Such a beautiful card! Blue and yellow is one of my favorite color combos! 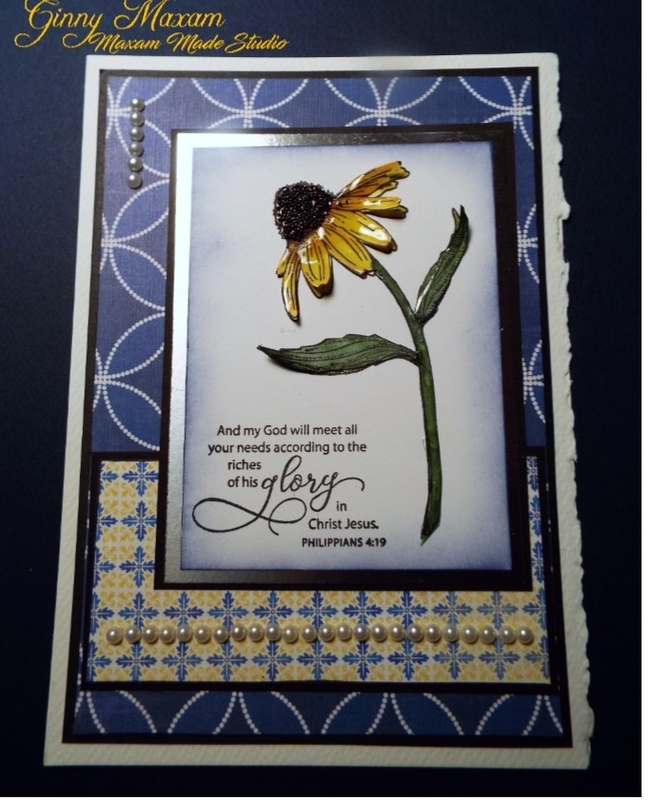 Love the way you framed the Scripture with your flower and added so much dimension to it!